You may hear it called a Landlords Gas Safety Record, Domestic Gas Safety Record, Gas Ticket and a few other names but if you own a property that someone else lives in, or if you manage a property on behalf of the owner, and if that property has a gas appliance then you MUST have an inspection carried out every year and a record of compliance issued - the Landlords Gas Safety Record. 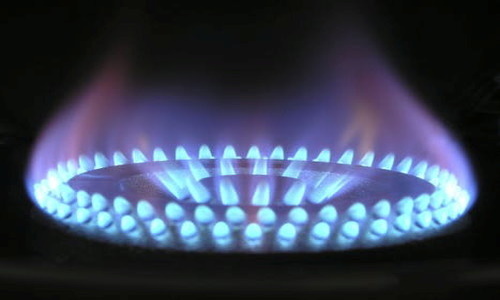 A Landlords Gas Safety Record must be shown to new tenants at the start of each new tennacy. It is a legal requriement. The absence of a gas safety certificate, where one is requied, may prevent the landlord/owner from serving certain section notices to recover the property. 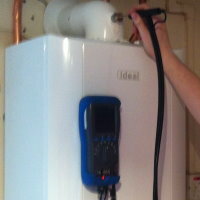 If you live in your own home, speak to us about a service and inspection. Ask AM Dalton about fitting a Carbon Monoxide monitor. The Landlords Gas Safety Record should have the name of the Gas Safe registered engineer and their registration number, 88505 in this case. It should have the name and address details of the location where the test was conducted and the Client Details. Each appliance inspected is listed with the details of the inpsection noting a Pass or Fail or a measurement where applicable. 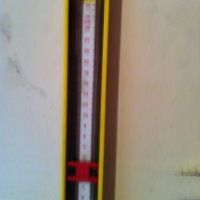 Faults and any remedial works are noted and if warning notices have been issued. The last section includes some non appliance specific test and details and signature of the competent engineer conducting the test and the date when the next test is due. 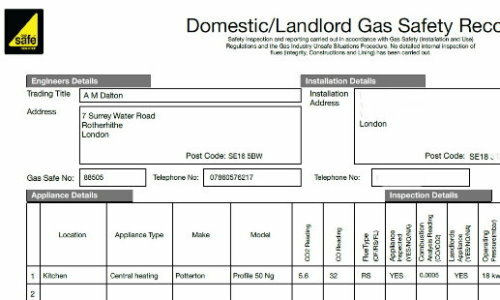 AM Dalton Plumbing will inspect your gas appliances and issue a Landlords Gas Safety Record in an efficient and compliant manner. Should we find problems we will report them to you and advise of remedial action. Our experienced and appropriately qualified personnel will conduct the work to your satisfaction.